If you live in the United States, these are not exactly the happiest of times. That’s probably why I was thinking today of Florence, where I was a year ago. I rented an apartment on the north side of the city for a month, near the Mercato Centrale and the lively Via San Gallo. 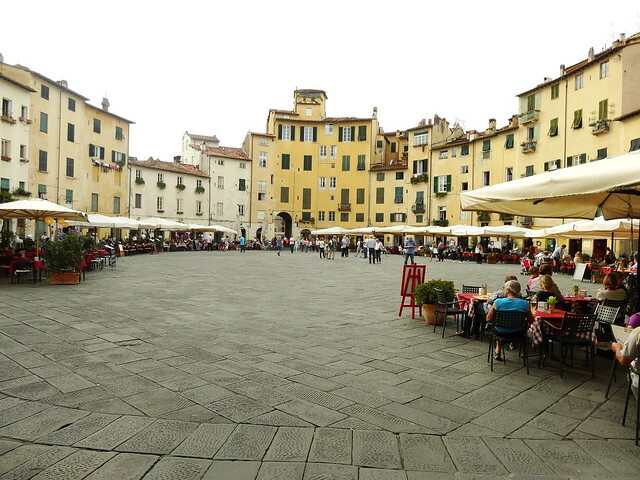 I took my morning espressos on the other side of the river in Piazza di Santo Spirito and on the weekends ventured out to the picturesque, stuck-in-the-Middle Ages towns of Siena, Arezzo, and Lucca. Tuscany is a happy place to be. It’s no utopia, but between the slower pace of life — with the exception of insane Italian drivers — the obsessive commitment to locally sourced food and wine, the beautiful art and architecture which you can’t escape, the rugged Apennines that loom above Florence and form the spine of Italy, you will feel at peace here. There are lots of affordable flights to Tuscany and northern Italy from many parts of the USA, if you feel like escaping for a while. The high-speed trains in Italy are an excellent way to get around and affordable so long as you book your ticket well in advance (and if you subscribe to their newsletter they will send you 50% discount offers almost every day). If you have any questions about booking your flight to Italy, don’t hesitate to ask me! Dec 3-9 on British Airways for $520. Get the cheapest price and support this website by booking your flight on DoHop. Jan 10-17 on Lufthansa and United Airlines for $383. Get the cheapest price and support this website by booking your flight on DoHop. Jan 10-18 on Alitalia and Delta for $519. Get the cheapest price and support this website by booking your flight on DoHop. Jan 21-30 on Norwegian and EasyJet for $463. Get the cheapest price and support this website by booking your flight on DoHop. Jan 17-27 on Jetblue and TAP Portugal for $590. Get the cheapest price and support this website by booking your flight on DoHop. Flights to Lisbon from $389, Roundtrip. Flights to Budapest from $450, Roundtrip.